A signalling fault at Falmer is causing disruption between Brighton and Lewes, Southern Rail said. Delays of up to ten minutes are expected until 6pm. 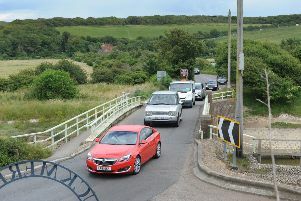 A Southern spokesperson said: “A fault with the signalling system is affecting a signal between Falmer and Lewes. “In this particular situation the fault has been confirmed as a ‘Track Circuit Failure’. This means the signalling system is unable to automatically verify if the next section of track past the affected signal is clear. “The rail network is designed so that if a signal stops working, trains will stop before they reach it. Whilst this issue is ongoing, train crew will stop at the affected signal and contact the signalling centre to confirm their location, which at this point the signaller will verbally authorise the driver to continue towards the next signal. This process adds time to every trains journey, which means services can experience delays.